As the 2017 high school lacrosse season approaches, at least six new programs are scheduled to launch at the CIF level, bringing the total number of CIF Southern Section boys teams to 92. Among the new programs are Notre Dame (Sherman Oaks), Long Beach Poly, Long Beach Wilson, Grace Brethren (Simi Valley), Segerstrom (Santa Ana) and St. John Bosco. 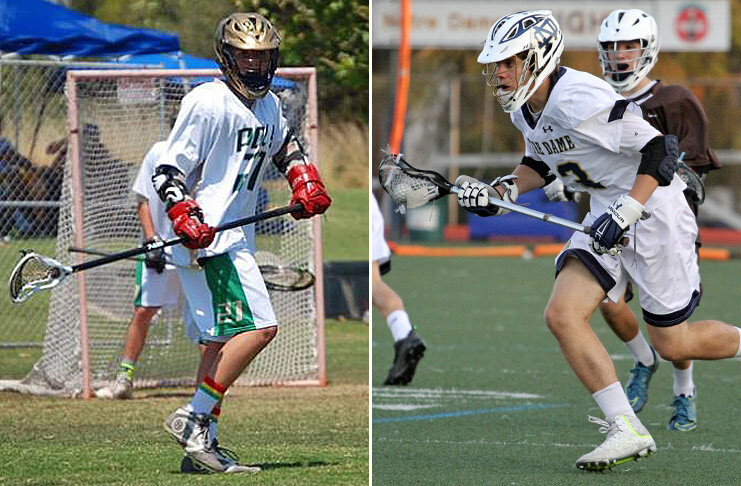 Additionally, Chadwick (Palos Verdes) is said to be adding boys lacrosse, and Portola (Irvine) will field a freshman team this year with plans to expand to varsity in coming seasons. Thom Simmons of the CIF Southern Section office provided MaxLax with a list of the 92 boys teams scheduled to participate as CIF programs this year. All of the above-mentioned programs were on the list. Even with the additional teams, though, the section still remains well short of the magic number of 117 needed to hold official postseason championships. There are 584 schools in the Southern Section, and 20 percent of them would need to participate in any given sport in order to hold championships in that sport. While LaxPower.com, something of a clearing house for lacrosse schedules, scores and standings, currently lists 96 boys teams for the 2017 season, keep in mind that six of those are City Section schools — Alexander Hamilton, Birmingham, Jordan, Palisades Charter, Valley Academy and Westchester — and don’t count toward the Southern Section’s minimum. Also, Chadwick and Portola are not listed on LaxPower. Notre Dame announced a year ago it would field a varsity team in 2017. The Knights played a JV schedule last spring under the direction of coach Ian Mills and are set to join the Mission League as a varsity squad this season. The Long Beach school district is adding programs at Poly and Woodrow Wilson high schools. Poly, which has played in the club-level Pacific Lacrosse League the last few years, will continue to be coached by Michael Song and compete as an independent. Wilson will be led by Sterling McDowell-Ashe, who also coaches with Beach Cities Youth Lacrosse, and is listed as a member of the Century League in Orange County. Also listed in the Century League is Segerstrom High School of Santa Ana. The Jaguars will be coached by Michael Vanags, according to the school’s website. Vanags coached at Huntington Beach Edison in 2012-2013, before the Chargers became a CIF program. Grace Brethren of Simi Valley also is adding a boys team this year and will play as an independent. Athletic Director RJ Blackwell said Grace Brethren alum Dustin Marvin, who coached last season at Oaks Christian, will be the Lancers’ inaugural head coach. Grace has scheduled games with Cate, Thacher, Calabasas, Hart and Village Christian, among others. St. John Bosco, a longtime member of the PLL, finally appears poised to become a CIF program. The Southern Section list has the Braves competing at the CIF level in 2017, and LaxPower.com lists them in the Trinity League. Bakersfield? That’s awesome – That’s the real news. Bring back the Torrance Titans!